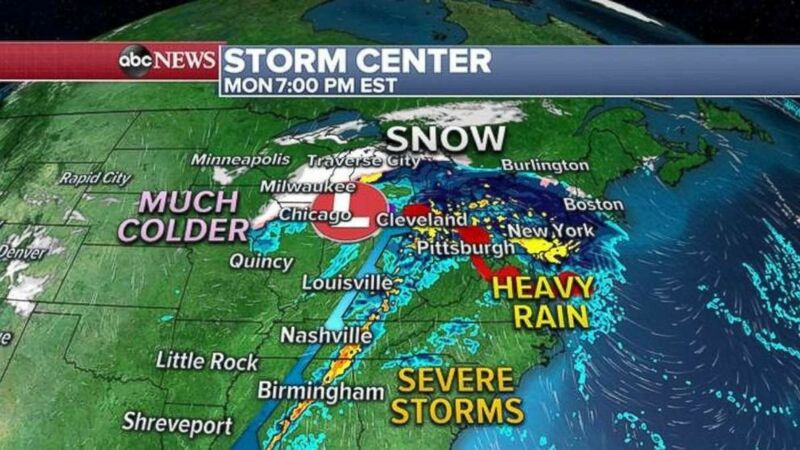 Two different systems will combine Monday to produce a significant storm system affecting New Year’s Eve plans from the Central Plains to the Northeast. Temperatures will be mild, but revelers in Times Square will need to wear their ponchos and rain boots. Heavy rain will move into the Northeast on Monday night with severe storms in the Tennessee River Valley. During the day Monday, these two different systems will combine into a significant, but quick-moving storm. Severe storms are likely along the cold front today in parts of the Tennessee Valley and northern Gulf Coast. 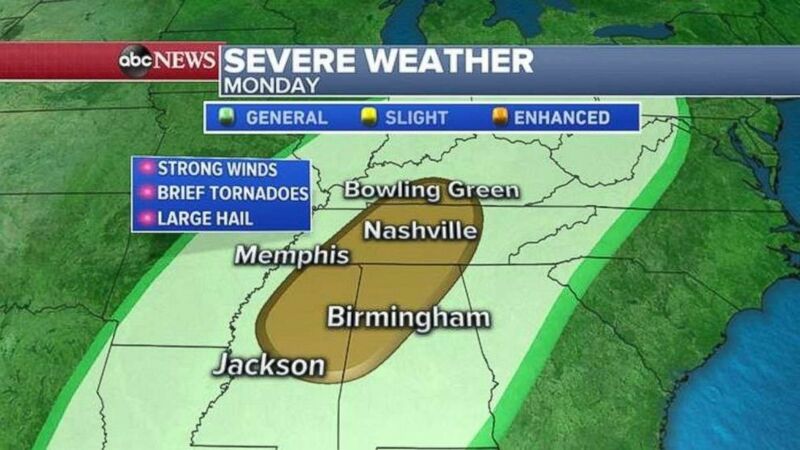 Severe weather is possible in norther Mississippi and Alabama as well as central Tennessee. 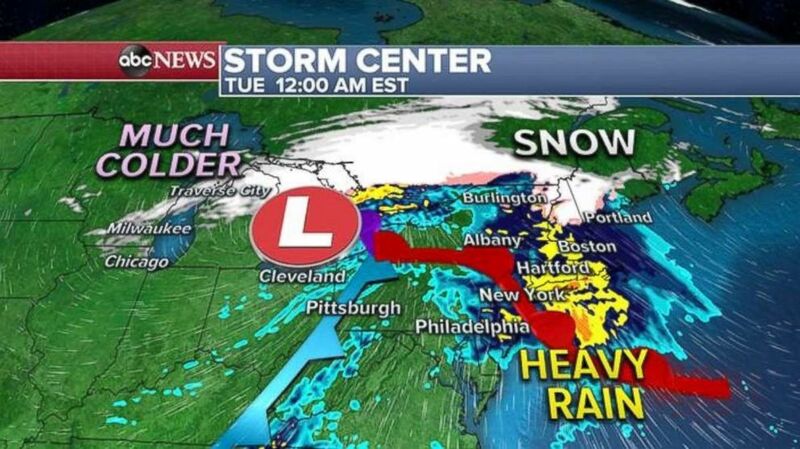 Heavy rain will be falling in New York City, as well as much of the Northeast, as revelers ring in the new year. 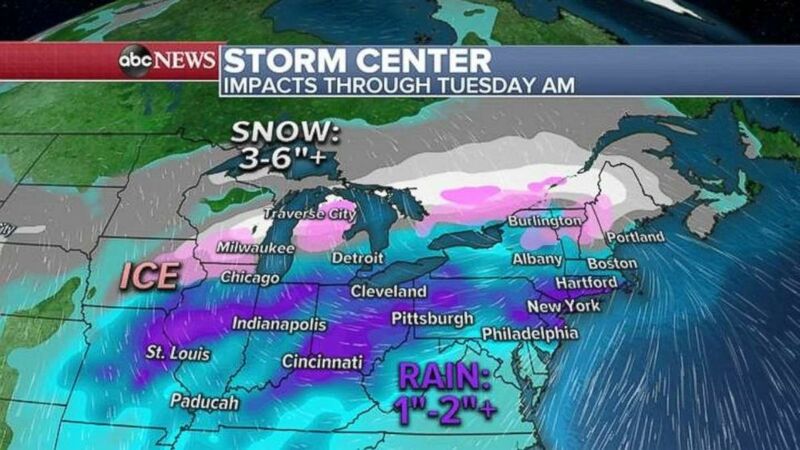 Rainfall totals of 1 to 2 inches are possible in the eastern U.S., with ice and snow farther to the north. 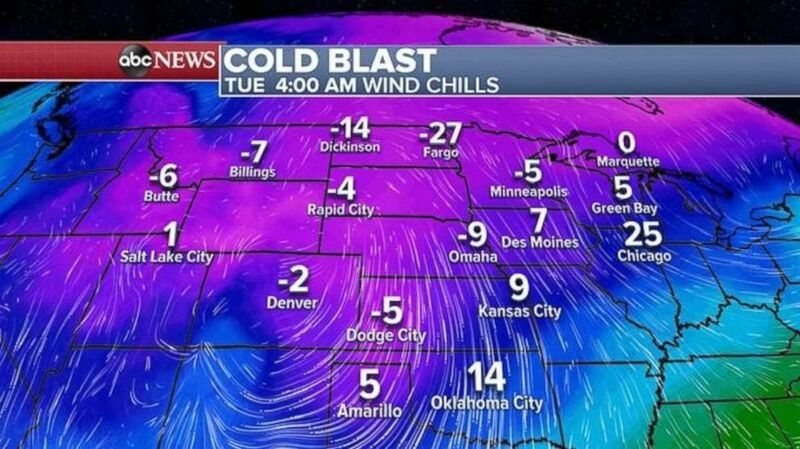 Bitterly cold air will move into the central U.S. behind the storm system on Tuesday.